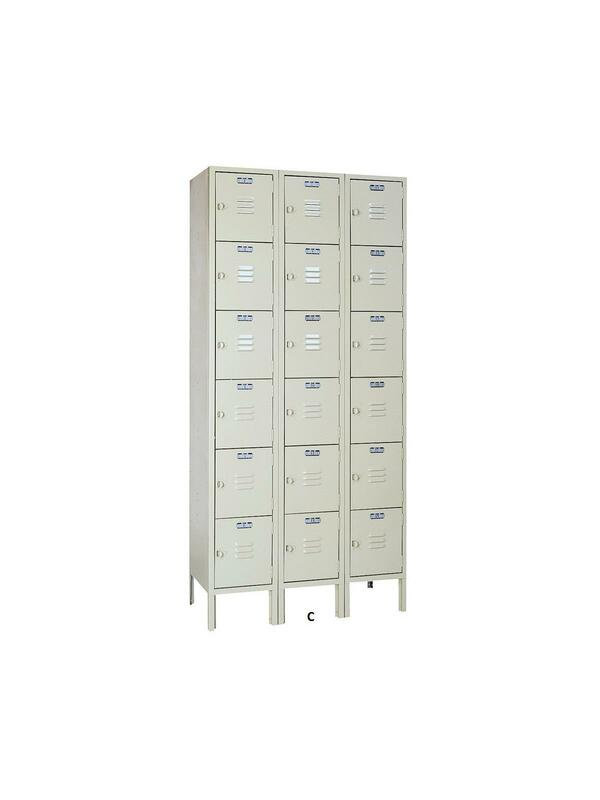 Multiple Tier Lockers - KD | Latta Equipment Company, Inc. 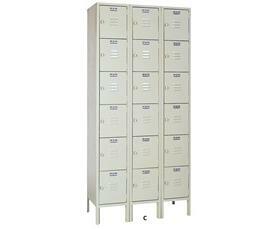 Excellent storage for classrooms, labs, gyms, bowling alleys, etc. 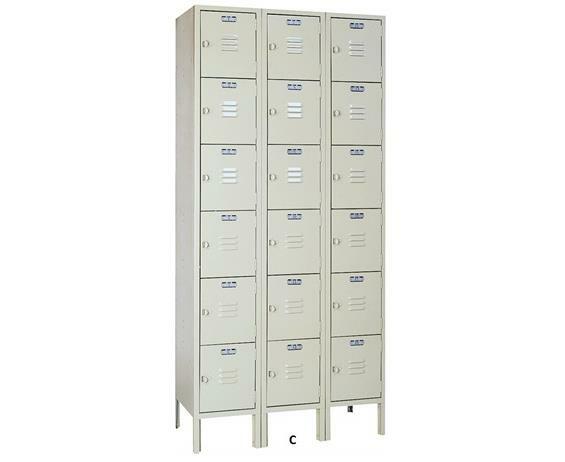 Doors have one point latching system and doors are equipped with padlock hasps with door pulls. Dove Gray or Putty finish. Shipped unassembled. 12 x 12 x 12"12 12 12"